Footy Tipping. Rugby League (NRL) fans every year consider joining or have friends or workmates ask them to join their tipping comps. Literally thousands of tipsters in thousands of comps – public and just amongst their friends. 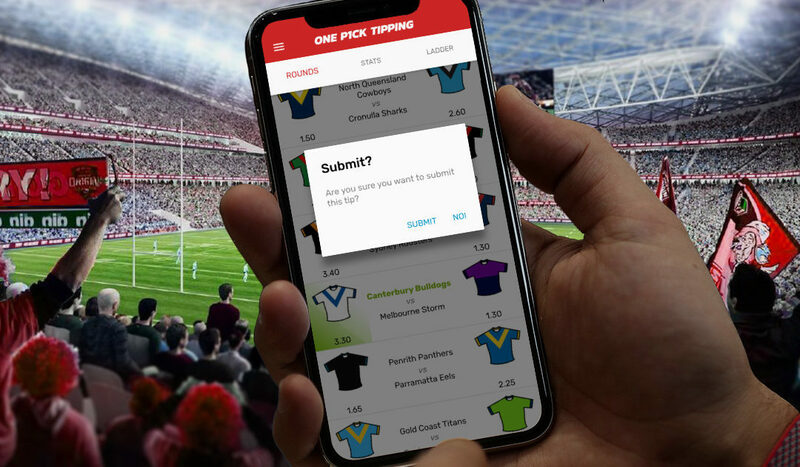 This is why when we were approached to create a new NRL tipping app we thought our client could be onto something. The key was how was this app going to separate itself to stand out in a popular market. What was special about One Pick Tipping? So what was the differentiating factor for One Pick Tipping that was going to set it apart from the competition? When the season starts, all competitors try to pick the winner of every game in the round. 8 picks every round for 25+ rounds. If you pick the winner, you get 1 or 2 points which add up. At the end of the season, the player with the most points wins. What One Pick Tipping brings to the market is that you only need to pick one team in the round you think will win. All the others are irrelevant. Then to add some complexity and an ability to read more than just who is higher placed on the official ladder, instead of getting one or two points for picking the correct team, all teams have ‘odds’ that align with the betting market. 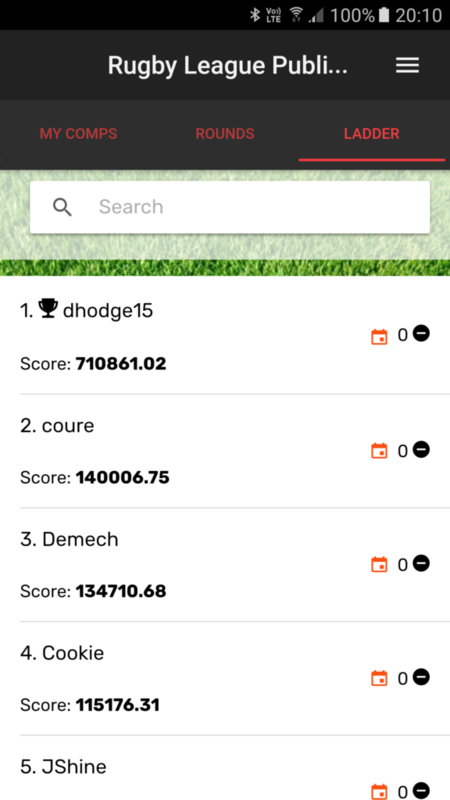 Instead of adding the scores together week to week like traditional tippings apps, the One Pick Tipping scoring system multiples the scores together – either the odds of the team you picked if they win or your score remains constant if you pick a team that loses their game. Big totals mean a couple of long-odd wins can rush you up the table in no time! This means that even if you don’t pick a winning team for a couple of weeks you are never actually out of the running to win the competition by the end of the season. Pick enough of the right teams at slightly higher odds than your opponents and your score will multiply up quickly! One Pick Tipping had a very busy start to the season with just over 1000 users logging in for the first week of the 2017 season. During that period there were more than 5500 user sessions and nearly 31000 individual screens viewed. 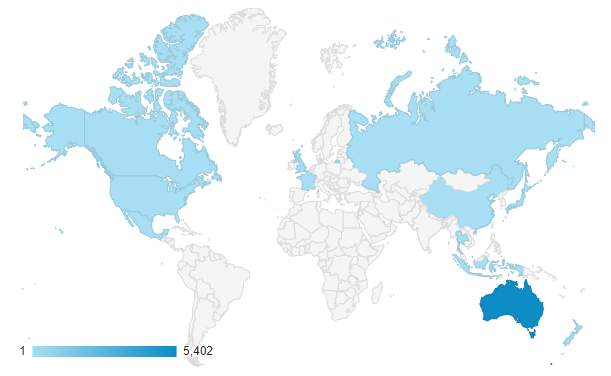 This included users from all around the world as well. The private comps get their own individualised chatrooms where the banter can really get going. As the first matches were completed, those that had picked a winner early were easy to spot as they were enjoying their 15 minutes of fame as the competition leader. As the season continued though, the true tipsters could be found lurking in the chatrooms putting off their opposition by feeding them with stories of non-existent injuries and talking up the chances of poor teams winning at long odds! Even the owners did their best on social media to promote their odds ahead of time to encourage some wild tips. The NRL and footy tipping, in general, is a hugely social endeavour. Fans can have debates for hours about which team is better and why along with which player is better and why. This lends itself immediately to social media platforms. Even just the most cursory of glances at Facebook and Twitter reveals hundreds of accounts and groups focussing purely on the NRL competition let alone the international competitions and national teams. This provides a perfect platform from which to acquire user growth. With the next season starting in a short 4 months, the time to begin acquiring these users has come! Another vital source of user growth is going to come from the corporate market. The scope for both intra- and inter-departmental competitions is huge.